A conscious revolution is subtly but powerfully taking place, and we’re being led to understand the truth of our existence in greater and more powerful ways as a result. An aspect of this ongoing shift is our alignment and realignment with a clearer and purer state of consciousness, and it’s essential that we remain strong and assured of the path we want to take as we greet this renewal of our higher perception. Do we want to follow the path of the light; of divinity; of progress, or do we want to follow the self-destructive path of darkness? We’re being given the opportunity to choose what we want to do and where we want to go, and I think it’s time to really ask ourselves what we want out of this existence and where our actions right now are taking us. I’m not perfect, and like a lot of other seekers, I stray off of the path of balance at times. From my experiences so far, I’ve learned two things: that our actions and intentions are more important to the creation of our future than we think, and that we’re tasked with choosing harmony and balance over the ways of the dark. We’ll be able to soar if we choose the path of the light, and I think it’s important to assure ourselves of the path we want to take and make stern and disciplined efforts not to stray from it. It’s easy to stray from our paths, but far more rewarding to stick to our guns with assurance of where we’re going. Even people who are anchored in the light are susceptible to the influence of the dark, and sometimes, we can feed into the dark without necessarily realizing it. 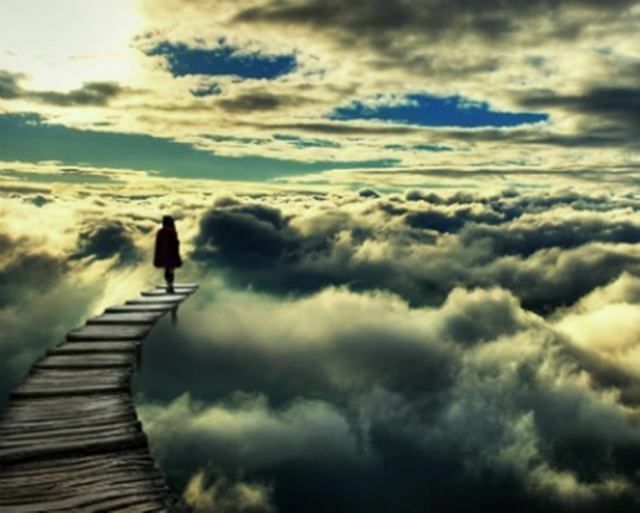 When we descend into temporary unconsciousness, we tend to lose sight of the greater perspective that’d help us realize we were taking a wrong direction. The more assured we are on the lighted path, the less likely we are to succumb to lower-dimensional influences and reenter a state of unconsciousness. We can call upon spirit if we ever feel depleted, and sternly rooting ourselves in the light will lessen our exposure to depleted and unenthusiastic feelings. We’ll surprise ourselves when we embrace the light and work away with the resulting motivation, because so far, our susceptibility to darkness and density has held some of us back from our greater potential. Honestly, we haven’t even begun to see what we’re capable of. We’re just starting to remember our sacred origins and the destiny we’re here to fulfill, and when we see beyond darkness and everything it has to offer, we’ll remember that we’re divine changemakers who are on this planet for an important reason. We’re here to heal the very darkness we’re still trying to master. I don’t have all of the answers in regards to soaring beyond the influence of the dark, but I can give my perspective in hopes that it helps or resonates with some of you. My experience so far has shown me that discipline and perseverance are very important if we want to remain firmly anchored in the light, because without them, we’re vulnerable to the dark. This is because we’re susceptible to lower influences here on earth, but our susceptibility has really only been meant to test us and our ability to stand strong in the light. Lower influences are harmless, but we make things more difficult when we give them any amount of attention and strengthen their otherwise weak power over us. Some people believe that lower-dimensional forces thrive when they can drain the light of an awakening seeker, and this can certainly be true. What isn’t said as often is that they can only feed off of our energy if we let them in by way of our thoughts and actions, and if we don’t let them in, our light is actually very toxic to them. The light of an awakening seeker only nourishes a negative entity or thought-form if they’re able to drain it and convert it into a banquet of lower energy, and taking a seeker off of their path is the main way the dark is nourished. Seekers who stand strong in their light will be able to extinguish any entity’s darkness easily, and where strong light is present, lower influences flee. This is one of the reasons we’re encouraged to stand strong in our light as we continue to experience earthly darkness, and we’ll become infallible, love-driven forces when we do. Our light is strong, and with balance and discipline, we’ll be able to handle every bit of darkness that comes our way from an inextinguishably positive perspective. The great thing about our growing revolution is that we can help each other along every leg of our journey. We can talk with each other about the importance of remaining in a balanced, heart-centered place, and we can encourage each other to strengthen our resolve to create divine change. Whether you do it here or elsewhere, you’re encouraged to talk with friends and fellow seekers about the strength with which we can go about our lives. I think we need to support each other in this crucial phase of our individual and collective growth, and remaining on our paths is probably much easier with support and encouragement. Divine change is on the horizon, and it’s starting with the actions of the conscious people who are ready to create a better world. Imagine an entire planet – billions of strong, independent conscious seekers who are rooted firmly in the light and work from that place every day for the good of everyone. Some seekers are starting to attain such a level of inner strength, and we can join the crowd of masters-in-training who are taking the next step when we recognize the consequences of our every thought and action and, in a way that avoids puritanism, root ourselves unflinchingly in the light. We can do it, and the entirety of heaven is here to help us refrain from falling back into the darkness we’re here to uplift. Since we know that heaven is here for us, we can start being here for each other in a grand display of unity and selflessness. Wes Annac – Happy to stand strong in the light of Source. Wes Annac is a 20 year old awakening seeker and creator of The Aquarius Paradigm daily news site. Awareness is an essential element of introducing significant change on a planet where corruption and greed have run rampant. Last week, I wrote about the importance of caring for the planet, and in my opinion, becoming aware of the injustice that has and continues to be perpetrated is important to healing it. I’m not saying we should fight against the powers that were, but we should certainly become aware of everything they have and continue to do. From a heart-centered space, I think it’s important to bring exposure to the actions and agendas that’ve been hidden in the dark, away from the perception of most people. As we do, we should also focus on developing a newer, more sustainable way of life that incorporates awareness and frees us from the oppression we’ve lived under. Becoming aware of the ways in which we’ve been controlled and oppressed will motivate us to look toward a new way of life and awaken as many people as we can. Awareness is a beautiful thing, because it inspires most people to want to change every distorted aspect of society they’ve become aware of. We’re ready to transcend the follies of western society and welcome a new day, and with awareness and dedicated focus, we’ll do just that. Humans have much more power and potential than we’ve let ourselves believe. We’re infinite beings with the potential to unite and change the world around us, and if we can only recognize the ways this planet has been controlled and plundered, we can take real and significant steps away from such control. Those of us who are aware of the powers that were are ready to create something new, but how many people beyond us even realize a new day is dawning? How many people understand that our planet is being run from behind a thin veil and that, if left to their own devices, the former powers would’ve taken drastic measures against humanity? There aren’t enough people who understand the gross manner in which the planet and its people have been controlled, and even though most of us are probably ready to move on from cabal discussions and into the greater concepts and topics spirit has for us, some of us still have work to do to awaken the rest of humanity. We’re all in different stages of our growth, and some of us have moved far beyond any thought about the lower forces that have and continue to ravage the planet. A lot of seekers have probably advanced beyond the desire to bring them up at all, but people who are a little more in the dark could still use a heart-centered force to help them become aware. Like I’ve said before, we can talk about oppression and injustice from a heart-centered space. When we talk about things that could be seen as “lower” we don’t have to dip down into the vibration associated with them. From a brimming and joyous place, we can bring light to the crimes of the former powers. Even though a lot of playful nicknames have been created for them that suggest their reign is over, the cabal is unfortunately still up to their crimes against humanity. Don’t get me wrong – more light is being shown on them than ever before and their downfall is certain, but in this moment, they still get away with too many things. Accountability is a necessity, especially when it comes to the heinous crimes of the former powers. I know that everything’s moving along, but honestly, with how much they continue to do and how much awareness has grown in the last decade, I’m surprised they haven’t been halted already. I don’t have anywhere near the perspective of the greater forces helping bring our evolution about, but I’m ready to see divine justice and true accountability. It’ll happen in due time, but it baffles me that so many people are still so unaware of such big and malevolent things. The cabal’s hidden themselves right out in the open! Awareness can be bred from a loving space, and the strength to confront any evil or unjust force comes directly from Source and helps one operate in the name of divine justice and the reestablishment of peace and a plethora of other divine qualities. Awareness breeds exposure, and this breeds a new way of life for everyone involved. If the former powers weren’t still moving, even at a slower pace, I’d probably lay down the calls for justice, but never for awareness. I think that no matter what, crystal clear awareness is always a necessity. In this case, awareness is important to expose and bring down the former powers, but it remains important in any other circumstance. As our consciousness continues to grow, awareness and clarity will help us perceive the wonders spirit has to offer. We’ll have grown into a clear, refined state of enthusiastic ability to perceive and understand things we couldn’t begin to here on earth, and the clarity and awareness we cultivate now will help us immensely down the road. I think clarity is an important part of awareness. It’s one thing to be aware, but it’s another altogether to cultivate the clarity required to really illuminate the darkness and the forces, both incarnate and spiritual, that’ve kept them in place. I think the biggest shock for most people is going to be that the former powers are Luciferian and commit all of their crimes in the name of lower forces and entities. All of the spiritual aspects of our existence will be stunning, but learning that people in power, some who’ve masqueraded as Christians, have deep roots in the hellish realms will really wake us up. For religious people especially, that could either come as a big shock or no surprise at all. Some religious people are more in tune than they’re given credit for, and religion doesn’t inhibit one from seeing what’s right in front of them. Whether you’re religious, atheist or generally spiritual, awareness will help you understand the changes that need made before we can live in a better, fairer society. Awareness obviously extends beyond politics, and once the cabal’s out of the way, we can use our awareness to focus on the changes we need to make as a budding galactic civilization. Deeply rooted awareness will help us change the planet after the forces of injustice are held accountable, because we’ll see the planet’s condition with newer, clearer eyes and compare it to the condition we’re ready for it to be in. As we do, we’ll gradually understand the things we need to do to make our reality reflect our dreams. In the higher dimensions, awareness is probably sharpened to proportions we can’t yet fathom. We’ll use awareness to perceive greater things in a clearer way in the higher realms, and we’ll continually search for more awareness; a higher state of consciousness; a purer perception. Our search for insight will always continue, and it should go without saying that awareness will help us excel spiritually as much as physically. Awareness of the former powers is obviously important, but greater, spiritual awareness feels better than anything I can describe. True, higher-dimensional awareness can be hard to attain amidst the stress and pain of the physical earth, but nevertheless, accessing and feeling it is very rewarding. Despite its present difficulty to attain, I have a feeling that the more we attempt to feel it, the easier it’ll flow through. Awareness, both spiritual and physical, is something that we initially strive for but that eventually flows to us. Sound familiar? As long as we make an effort to become aware of anything and everything we’ve been kept in the dark about, we’ll be able to. It’ll require effort and persistence, but when we feel the resulting greater perception, we’ll see that it was well worth it. Physical and spiritual awareness will enrich our lives, whereas complacency and dull-headedness will slow our pace and our quality of life. It feels good to be aware of certain things, even if other people aren’t aware or couldn’t believe in their reality, because an existence that was once limited is expanded with complete, unhindered infinity. Just like clarity, awareness and livelihood go hand in hand. Perhaps the three of them combined has the greatest effect, because a lively and energetic seeker will really be able to shine their light on everything, be it political or spiritual. An enthusiastic seeker will be able to get a lot done, because they’ll feel clear-headed and motivated to do whatever’s required of them. A motivated seeker has no problem speaking out about things they know aren’t right, nor do they have any reservations about calling hypocrisy when they see it. They don’t necessarily do it from a rebellious stance (although some of them might) but from the stance of a lighted force shining their perception onto darkness. A motivated, aware seeker feels the things they express flow out of them. Sometimes, surrender is required to reap the biggest fruits of this flow, but when they’re in tune, everybody benefits. Becoming aware of the continued attempts to oppress humanity (some successful) and the existence of brimming spiritual realms and myriad civilizations beyond our planet will help us spread the light and truth around, and even if most people can’t open up to most of the things we talk about and advocate, they’ll become aware in their own time. For now, those of us who’ve started opening our eyes can use our awareness for the good of the planet. It only takes the decision to start serving, and even if it’s difficult at first, our growing sense of clarity and invigoration will help us develop our service. In essence: it’s time for us to shine, and awareness, clarity and invigoration will help us do just that. The world around us holds a great deal of beauty and amazement. We only need to open our eyes and look around to notice the miracles that are everywhere, and when we do, we’ll understand that heaven has always been here. Heaven exists right here, right now, waiting to be realized again. With all of the pain and nastiness that exists here, our planet brims with full consciousness. The earth is able to take a great deal of damage and destruction and still provide an unflinchingly pure vibration for all of her creatures, so what stops us from anchoring and expressing the divine qualities despite our experience of the same pain? The earth offers us the strength and support to keep moving in a harsh reality. One of the most interesting things about our world is that both heavenly and hellish qualities are magnified here, but we have the ability to remain balanced in the midst of the chaos. What we give our attention to will continue to manifest for decades, perhaps centuries, down the line, and our little planet has been intensely dualistic for a long time. Most seekers hear the word “duality” and think of the extreme negativity that exists here, but duality is an intensification of both qualities. Duality gives us the best of the best and the worst of the worst, and with the skills of discipline and balance, we can experience true heaven on this evolving planet. Darkness is clearly a strong factor on the lower-dimensional earth, but I don’t think enough people realize that this planet also hosts beautiful and heavenly things that evolved civilizations on other planets could look down at and say, “Wow, they’re lucky”. “The people of earth fight endless wars and live lives of hardship, but the very surface of their planet hosts cosmic anomalies that astound and amaze us. A lot of seekers turn within for a greater, more heavenly perception, because it’s important to cultivate a higher vibration from within. There’s certainly nothing wrong with endless inner searching, but at a certain point, the spiritual awareness we gain can make us aware of the beauty this planet has to offer. We can feel and see some amazing things here on earth, and I think the entire world will be receptive to these things as consciousness continues to rise. The beauty this planet has to offer is unparalleled and, in my opinion, definitely worthy of our attention. On any given day when the weather’s nice, you’re encouraged to get out, find some peaceful nature and sit in awe. If you’re someone who takes little spiritual value or substance from nature, feel free to sit and meditate in this landscape. 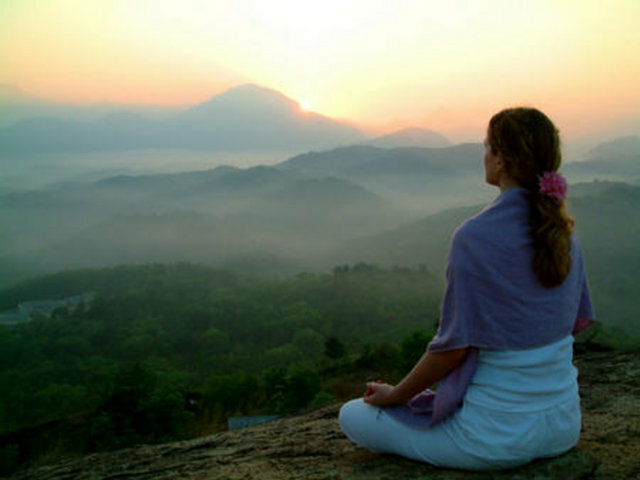 Meditation in nature is much more potent than meditation in one’s home, in my opinion, because nature offers solace from the restrictive density of society. We receive a much greater flow of divine energy and insight out in nature, because the veil that inhibits a greater perception, which is partially enforced by society, diminishes. If we sit in nature and attune to the Formless, we’ll perceive it in a much freer way and our inner search will be given a boost. Even beyond strengthening our meditations, the works of beautiful, natural art we’ll find when we retreat from western society will remind us that a lot of valuable things exist on this planet. It’s time to love and nurture our planet with the knowledge that it’s a heavenly place that we’re fortunate to exist on, because we certainly haven’t shown our appreciation so far. We might not feel so fortunate to be here on our worst days, but we can persevere through hard times with strength, tenacity, and the knowledge that we’re reuniting with the heavenly parts of this place that’ve been forgotten. Ancient secrets about this world have been hidden from the people, but luckily, we can regain this forgotten knowledge by turning within. We can regain the advanced understanding our ancestors cultivated, all the while loving, respecting, and appreciating the land around us. Planet earth is a work of art, nothing less. This planet has been sculpted by brilliant higher-dimensional minds who left us truly incredible works of natural art to enjoy. The art of nature can be found in a lot of places, even in one’s own back yard, but we can only notice it if we start looking. As the people continue to display our willingness to run society in a fair and just way, respect and appreciation for this planet and the nature it provides will lead us to start treating it like we’re intended to. Earth has much more to offer us than we yet realize, and little by little, we’re glimpsing its radiant beauty and feeling the higher vibration we’ve always been on. Wes Annac – Remembering earthly heaven. I recently rediscovered an idea that I’d more or less swept under the rug before. The purpose of this newsletter segment is to explore some of the things we can do to heal the planet and welcome a new era of harmonious cooperation and progress, and a radical spiritual truth has just hit me that’s causing an inner clash of paradigms. I’ve been focused on the things we can do here, now, in this reality to bring about real and solid change. I’ve conceptualized various ideas and developed an image in my head about how we can change this reality, and in doing so, I didn’t take the idea I’m about to convey to you all into consideration. I’m learning that reaching a state of zero point beyond mental perception, identity and desire is the greatest way to individually achieve enlightenment and help change the world. I’m starting to understand that at first, a progressive force is necessary; a real, determined and driven effort that eventually pays off. We’re intended to show our willingness to put some work in to achieve true enlightenment and help others do the same, but at a certain point, the “milk and honey” flows with little effort at all. When it becomes clear that we’ve shown enough effort, we’re asked to do little more than flow into oneness and completeness. We’re asked to surrender our physical and spiritual identities and perceptions, and flow into a state of nothingness and subsequent allness. We’re intended to see beyond the mind and welcome zero point. As focused as I’ve been on the action we can take in this reality to change it, suddenly I’m confronted with the startling truth that after so much effort, surrender and grace could be our biggest requirements. I should mention, of course, that we receive flowing and bountiful spiritual and expressive gifts when we’re in an egoless space. I feel centered in the heart space as I write this. If I was mentally driven to write or did it out of a self-constructed sense of obligation, the material wouldn’t be nearly as potent as it’s intended to be. It’s easy to fall into the habit of writing from an expectant or obligatory place, but writing from the heart space with little mentality involved becomes much easier after effort and practice. This idea of initial effort followed by complete surrender of the self and the identity to achieve enlightenment and change this reality seems to flow against my recent desire to have us “step up” and start talking about what we can do to change things physically. I think that transforming our current paradigm is important, but my perception of the ways we can do so has changed dramatically overnight, and I’m left to try to catch up with this powerful and almost evident understanding. There’s a lot of material from sages, gurus, etc. of the past that suggests that surrendering into zero point is the ultimate key to enlightenment, and here, we’re going to examine some of that material as we explore an old idea that more seekers might pick up on in the future. Paramahansa Ramakrishna tells us that we’ll initially have to put in effort to find enlightenment but that we eventually reap the flowing fruit of our labor. I think we’ve all experienced this struggle, and it seems that after we experience so much of it in the name of finding enlightenment, a greater perception and energy flows through us like a waterfall. Ramakrishna then reinforces this idea. We’re also told why our initial effort is necessary. So we see that even a little bit of driven effort will display our willingness and help us reach personal enlightenment. My effort has been to serve by writing about spirituality and the things we can do to build a new paradigm, and perhaps we’ve all been led to the idea of initial service followed by surrender to zero point because it’s time for us to consider it. Ramana Maharishi tells us about the importance (and the benefits) of initial effort and perseverance. Maharishi also tells us that the initial difficulty of being still and surrendering is one of the reasons effort is important. I don’t know about you, but I certainly haven’t reached a state of “effortless and choiceless awareness”. I’ve been driven and focused on change, change, change, and even though I’ve mentioned the importance of cultivating inner peace and harmony if we want to change the world, I’ve never really embraced zero point or identity-less existence. Somewhere deep down, I’ve always known that it’ll be necessary to experience a greater, more refined spiritual reality, but I’ve never really lent much thought to it. Maharishi reminds us that repeated effort will sharpen our eventual ability to effortlessly put ourselves on a higher vibration. I’m starting to understand how reaching zero point can require some effort. When I finish writing this, my mind isn’t likely to just stop going. I’ll probably focus on something else, then something else, etc. until the end of the day when I’m more satisfied with letting things rest. Even in my meditative time, I see that it could be difficult to reach a state of complete nothingness, but based on my experience so far, doing so is indeed the key to unlocking a greater energy and perception. I sat down to meditate last night and, taking the advice given here, I let everything float away. I let myself float away. And the result was a potent meditation that I didn’t perceive through any kind of mental filter, which made it much more powerful. The human vehicle is so limited when it comes to perceiving and expressing greater things. Only by reaching a state of nothingness can we truly welcome a greater perception and change the planetary vibration, but it could be difficult at first. I know that I certainly have a journey ahead of me, albeit an enjoyable one. It’ll be enjoyable because this truth, while potentially difficult to act on, is liberating to say the least. Maharishi advises that gurus and teachers can’t show the way to a higher vibration for us. They can only help, and we’re intended to forge our own paths. The teachers that are here right now only intend to guide us toward enlightenment with advice and assistance. It can be easy to look toward them to solve our problems and dilemmas because of the elevated place they seem to be in, but the “trick” is that we can reach that place in a much easier way than we thought. (1)- Swami Nikhilananda, trans., The Gospel of Sri Ramakrishna. New York: Ramakrishna-Vivekananda Center, 1978; c1942. (2)- Swami Saradananda. Sri Ramakrishna, the Great Master. Madras, Sri Ramakrishna Math, 2 vols, 1979-83. (3)- S.S. Cohen, Guru Ramana. Memories and Notes. 6th edition. Tiruvannamalai: Sri Ramanasramam, 1993. (4)- Sri Ramana Maharshi, Gems from Bhagavan. Comp. A. Devaraja Mudaliar. Tiruvannamalai: Sri Ramanasramam, 1985. (5)- Paul Brunton and Munagala Venkataramaiah. Conscious Immortality. Conversations with Sri Ramana Maharshi. Rev. ed. 1996. (6)- Anon., Who Am I? The Teachings of Bhagavan Sri Ramana Maharshi. Sarasota, FL: Ramana Publications, 1990. It’s ironic that we require the effort we do to reach a place of simplicity and ease, but it’s only necessary because it’s so difficult for our minds to accept this simplicity, this nothingness. From this bareness, everything is created and flows harmoniously. From zero point, from nothingness, everything is created and sustained under the absence of mental constructs like identity. Spiritual guides who speak to us appease our need for an identity, a label of who they are, but they’re waiting for us to understand that names and labels are human concepts that won’t follow us into a new era. Inaction is the greatest action we can take after we start flowingly receiving the gifts of the divine. We create and experience a higher state of consciousness in our silence and stillness, and exiting mental reality is essential to reaching a place of stillness. So far, we’ve explored the idea that effort is necessary at first to find personal and collective enlightenment. We’ve examined some quotes about the importance of being active in the initial stages of our growth, and now, we’re going to take a look at the flowing rewards we receive from the divine after we put in the effort. In a more radical quote about zero point, Chuang Tzu tells us about “resting in inaction” before embracing nothingness/allness. If everyone can do this, we’ll be able to change our planet with relative ease. By individually reaching zero point, perhaps we serve in a greater way than we think. Maybe by reaching zero point, we anchor a purer vibration and make it easier for others to do the same. Maybe our energetic influence spreads to people who wouldn’t have otherwise been able to awaken, and our physical and spiritual effort combined could perhaps do the greatest good. I can imagine billions of people finding a small degree of enlightenment and feeling driven to change the world, but I couldn’t begin to imagine what’ll happen when everyone reaches an advanced stage of enlightenment. Oh, the things we’ll do! Bodhidharma tells us that transcending both motion and stillness is the highest form of meditation (note: an “arhat” is an enlightened Buddhist). It’s fascinating to think that there are deeper levels beyond simple stillness. If we employ stillness in our meditative pursuits, we’ll eventually unlock those deeper levels as we enjoy the flowing energy we’ll access. Stillness begets greater stillness as we grasp deeper and deeper states of consciousness, and we bring the divine and all of its bounty to us when we practice being anchored in zero point. Master Lin Chi reinforces the importance of simplicity when we reach a state of flowing divine abundance. Simplicity is powerful in its own way. By reaching zero point and being able to remain in a simple and humble place, we anchor a wealth of pure energy onto ourselves and the planet around us. We perceive reality in a greater way when we embrace humbleness and do away with the need to be impressed with “big” things, and we don’t even need to study spirituality to prosper. Western society has conditioned a lot of people to feel like they need to be impressed or wowed, and this mindset blocks us from a purer perception that’s rooted in simplicity. Moving beyond the ego-driven need to be amazed with big displays will actually help us witness big displays. Ironic, isn’t it? Ramana Maharishi tells us about achieving a “natural state of freedom from concepts”. When we see beyond mindsets that are focused purely on the self, we start wanting to be of service in every way we can. We ask ourselves how we can serve the planet in the most helpful and effective way, and we severely decrease the amount of energy we give to thinking about ourselves and our wants. It’s been said that serving others becomes a strong desire when we reach a higher vibration, and when we reach a state of identity-less existence, we’ll all be seen as one. We’ll understand the importance of working together to keep our existence sustained, and we’ll make much more progress than we do now. “Da Free John” proposes that a flaw in many of the differentiated spiritual concepts is that they’re just that – differentiated. “I saw that all kinds of seeking were founded in identification with a certain level of life, experience or motivation. The dilemma that was always involved was founded in a present act of differentiation, whereby what was constantly being realized was separated and threatened consciousness. Thus, I was not moved to pursue any goals, experiences or forms. All such things were merely matters of seeking. I did not even pursue my identity with Siva, Self or pure Consciousness. It seems that by seeking identification in nothing, physical or spiritual, we can reach a much higher vibration. And of course, by doing so we spread a greater perception and raise the consciousness of others, which’ll eventually lead to planetary healing. I’m not saying you shouldn’t identify with the spiritual concepts that you take comfort in or that resonate with you, and in fact, the mindsets those concepts breed serve as great avenues for the expression of a higher energy. It’s simply that zero point; nothingness; whatever you want to call it, is empty of conceptualized ideas and this allows for a massive expansion to take place that might not be attainable otherwise. As always, you’re encouraged to do what works for you and let everything else be. We’ll all find the higher vibrations in our own ways, and no two paths will be alike. It does seem like along the way, however, a lot of seekers use zero point to find enlightenment and awaken others. Swami Chetananda tells us that self-surrender is the highest spiritual state we can reach. Throughout all of these quotes, the consensus continues to be that hard work in the beginning equates to smooth sailing as our consciousness rises. I don’t know about you, but this motivates me to put in the work needed before the divine energy can really flow through. I feel like a child on the last week of school before summer vacation, or an office worker who’s about to retire and enjoy a better life. I’m excited to put in the work needed to reach a state of effortless flow, and I’m equally excited about the prospect of it being as simple (yet as complicated) as embracing a simple, humble existence. We’ll enter heaven by exiting our mind-centered perception of ourselves, and in doing so, we’ll see everyone as integral facets of one conscious energy. We’ll understand our oneness, as well as our individualism and embodiment as humans of different races, and we’ll do away with division completely. (1)- Burton Watson, trans. The Complete Works of Chuang Tzu. New York and London: Columbia University Press, 1968. (2)- Red Pine, trans., The Zen Teachings of Bodhidharma. Port Townsend, WA, Empty Bowl, 1987. (3)- Burton Watson, trans. The Zen Teachings of Master Lin-Chi [Rinzai]. A Translation of the Lin-Chi Lu. Boston and London: Shambala, 1993. (4)- Sri Ramana Maharshi, Spiritual Instruction of Bhagavan Sri Ramana Maharshi. Eighth Edition. Tiruvannamalai: Sri Ramanasramam, 1974. (5)- Da Free John, The Knee of Listening. Original Edition. Clearlake, CA; Dawn Horse Press, 1984; c1973. (6)- Swami Chetananda, They Lived with God. Life Stories of Some Devotees of Sri Ramakrishna.St. Louis: Vedanta Society of St. Louis, 1989. Adyashanti tells us that most people only glimpse a state of timeless and identity-less perception for a brief moment before contracting back into the familiar mental mechanisms of lower-dimensional life. Having rediscovered the idea of being fully present, my hope is that it sticks with me. I hope not to forget about the importance of simplicity, and if this writing can reinforce it for any of you, then I’ve done my job well. Adyashanti then describes the loss of perception of our identity that comes with embracing zero point, as well as the fact that the mind thrives in a state of struggle. If we stop letting stress and frustration in, we’ll starve the ego of its greatest asset and reach a true place of stillness and bliss. Because we’ve been conditioned to think this physical reality is the only one in existence, we’ve become addicted to materiality, consumerism and everything else that feeds our perception of physicality. Now, we have the opportunity to embrace the spiritual, and in doing so, we need to surrender our physical senses and perceptions so that we can receive the divine through an undistorted lens (or perhaps through no lens at all). As Adyashanti says below, a lot of seekers find it difficult to embrace zero point because of its identity-less, non-conceptualized nature. He also tells us about the liberation we find when perceiving spirit without any expectation or identity attached. “The most difficult thing for spiritual seekers to do is to stop struggling, striving, seeking and searching. Why? Because in the absence of struggle you don’t know who you are: you lose your boundaries; you lose your separateness; you lose your specialness; you lose the dream you have lived all your life. It can be frightening to contemplate the idea of leaving our identities at the door when embracing spirit and changing the world, but zero point, however formless, doesn’t entail complete nothingness. From the simplicity of zero point, we open up to spirit without any judgment or expectation dimming our ability to feel it. Finally, Adyashanti tells us that binding ourselves to our identity will forever inhibit a greater perception. Even though surrendering the ego makes sense, it can be easier said than done for a lot of us. I can’t tell you if you’re at a stage in your growth that still requires effort, but if you don’t feel the “ever unfolding revelation of the Truth and Freedom of Being”, you could have more work to do. The “work” doesn’t have to be bad – it simply entails surrendering ourselves to the divine. In concluding this report, I hope I’ve been able to present an interesting concept that’s shaken my view on life and evolution completely. I decided to write about this almost immediately after learning about it, and I, like many of you perhaps, still have a lot of thinking to do. Do you feel as if you can see beyond your perception of yourself as an individual, apart from the whole, and embrace oneness? We have some work to do before humanity can open up to the idea of surrendering our individual identities and embracing refined spiritual reality, but like a lot of other things, this doesn’t mean the task is impossible. Those of us who’ve discovered this idea can work to be examples of it, and we can help everyone become aware of the oneness of humanity and the nameless, timeless reality we can experience. Individually, we’re each a powerful force for change, but collectively, we’re unstoppable. In laying down our individual and collective perceptions and judgments, we become a planetary force for positive change that can’t be stifled. Change will always start with us, and having done my part in communicating this, I’m ready to ask myself what I can do to start living it. How about you? This concludes our planetary healing. (1)- Adyashanti, “Call Off the Struggle,” 1998, downloaded from http://www.adyashanti.org, 2004. We spend a vast amount of your “time” to borrow that term from our channel’s mind, working aboard our ships for your planet and for a plethora of other planets and realms actively involved in the ascension of the Universe. We work from our ships quite often, and in our leisurely time we can travel to infinite other realms and landscapes if we wish — by stargate travel; by travel which is bred from the sheer intent to travel somewhere which takes us there instantly; or via the holographic rooms we have aboard our ships. We have what you best would know as projectors of a higher dimensional, conscious nature in most of the rooms of our ships. These projectors project an entirely real yet holographic reality, which is fifth dimensional (or purer) and which we can enjoy and exist in just as much as we can any other location. This is because the holographic projectors aboard our ships are using the very energies used to Create and sustain your reality and indeed, our reality, to Create and sustain specific environments we would work with the projectors to manifest for ourselves. You will discover and understand so many things about the free energy Creating your realities, and learning how to utilize our technologies will be a strong facet of learning how to work with energy to manifest anything you desire. The technologies you will be given from we Galactic beings will be just as fruitful as the revelations that are to be uncovered on the surface of your Earth and in fact, many of the revelations you will be given will concern our technology and how it has been back-engineered and turned into the technologies emitting destructive frequencies that are meant to disturb humanity’s brainwaves. Ultimately, the cabals have attempted to Create a society of unaware individuals who serve them in nearly every sense. In the spiritual sense, the cabals have attempted to get you to serve them by Creating and having you feed very real barriers of negativity and lower dimensionality, which are different from the veils you have instated unto yourselves. These barriers are different because they have not been Created by you, but they can have as little influence upon you as anything else as long as your energy and focus is not lent to them. We trust that you dear souls will be able to feel and understand the influence those barriers can have upon you in the time ahead and already, so many of you are awakening to the reality of what they attempt to enforce within you and we are brimming with joy to note the awareness being gained in the awakening humanity as to the many ways the cabals have attempted to hold you back. You do not have to allow yourselves to be held back; though outer circumstances in your Lives will indeed attempt to arise and convince you that your perspectives must be dampened because of them. Much is happening that is intended to test your resolve and ability to remain within a higher dimensional center in any and every moment, and the awareness being gained at present is seeing the Light very easily able to permeate the minds and hearts of a plethora of awakening souls who see that the time has come to change aspects of their Lives and behavioral patterns that are no longer in resonation with the experiences they wish to have. Dedicated to Stephanie Sautter – A departed friend who I haven’t really gotten to know yet. It’s no secret that death is feared and misunderstood. Most people assume that we stop existing and enter an eternal slumber when the body dies, and the idea of ceasing to exist has driven a lot of people to fear death. 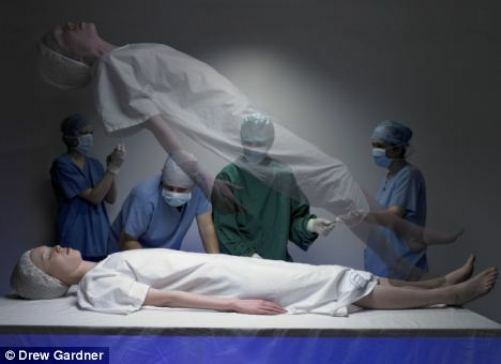 Most spiritual seekers probably understand by now that death isn’t as malevolent as some people believe, but still, the idea of the body dying and the spirit departing for greener pastures can be a little unsettling. I imagine that deep down, even some spiritual seekers have a fear of death, whether or not they understand that it isn’t the end. One of the biggest fears is that dying is painful, but the material we’re going to examine suggests otherwise. Apparently, dying can be an ecstatic process that entails a lifting of the lower-vibrational weight that holds us down. Death doesn’t entail an end to this beautiful life we experience, and instead, it helps us understand the density of this reality and opens us up to brimming and colorful etheric landscapes. Depending on the individual paths of each of us, we cross over to heavenly planes of existence when we die. The material about life after death that’s been given from the other side of the veil paints the realms we depart into as blissful, productive and intensely higher-dimensional compared to this reality. People who’ve had near-death experiences and glimpsed the other side, like Dr. Eben Alexander, have come back and told us about the incredible things we’ll experience when we cross over (or evolve) from the third-dimensional Earth. You’re encouraged to look up Dr. Alexander’s Proof of Heaven for a fascinating glimpse into the other side, and plenty of other people have had intense OBEs that let them glimpse the things we’ll experience when we cross over. I’d like to examine the spirit planes and the blissfulness of death from the perspective of people who’ve crossed over. Just like a lot of books have been written about the other side by people who’ve glimpsed it and come back, a lot of material has been channeled from people who took up residence there. Like anything else, you’re encouraged to use discernment if channeled material doesn’t resonate with you. I think that the material offered here is very helpful to anyone who wants to understand what death is like, however, and I think we’re fortunate to have a perspective on it from people who’ve experienced it. You’re encouraged to believe or disbelieve whatever you want, but I think that the material out there centered around life after death is fascinating. Gordon Burdick through Grace Rosher tells us that the departed are more alive now than they were in life. Instead of unceasing darkness, death offers a greater experience of life. I have a feeling that a lot of the things we enjoy about this reality are intensified in the etheric realms, and that harmony and bliss will replace heaviness and anger. The etheric realms will be different for everyone, of course, but what’s given here is intended to be a general guide. The grandmother of Grace Rosher tells us that beyond shedding our bodies, we don’t actually “die” when we cross over. She also shares her wish that she would’ve understood the gentleness of death instead of fearing it. We waste a lot of time fearing or avoiding death, when all the while, life continues as endlessly as it always has. We don’t have to fear death if we embrace the idea that consciousness is eternal and life continues on forever, and we can make the most of our time here with the understanding that eventually, we’ll reach a much better place. Mike Swain tells us that being born is actually a much riskier and more fearful process than passing on. It’s interesting and surprising to think that birth is more dangerous than death. With all of the attention we’ve given death – inadvertently by avoiding it or directly by fearing it – it’s apparently a much easier process than entering this world. The idea that death is more benevolent than birth makes sense, given the belief that this world is much denser and heavier than the realms we’ll depart into. I can imagine that entering this world would be much more painful than exiting it, because in the latter scenario, we’re shedding this density instead of taking it on. Mary Bosworth through Charlotte Dresser tells us that death will never inhibit the consciousness and growth of the eternal spirit. After we pass on, we continue growing and developing. It’s been said that progress and soul growth are much rapider on the physical Earth because of its extreme nature, but in the spirit planes, we can probably go about our growth in a more peaceful manner. (1)- Grace Rosher, medium. The Travellers’ Return. London: Psychic Press, 1968. (2)- Fred Rafferty, ed., Charlotte E. Dresser, medium, Life Here and Hereafter. Author’s edition. Downloaded from http://www.harvestfields.ca/ebook/02/001/00.htm, 2 Feb. 2008. 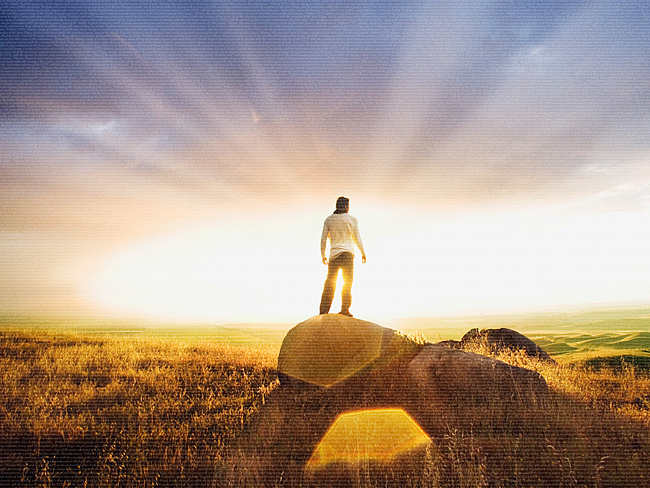 We excel to new heights in a steadier way in the spirit planes if we choose to stay there after passing on, but a lot of people choose to come back for reasons related to rapid soul growth and the desire to assist others in awakening. Mary Bosworth advises us not to worry about death or what lies beyond it, and to enjoy ourselves while we’re here. I couldn’t agree with Mary more. Let’s utilize the immense opportunity we have to be of service while we’re here, and instead of fearing death, let’s understand it as the peaceful and harmonious transition it can really be. Let’s enjoy this physical reality as much as possible without falling into indulgence, because we’ll always remember that life doesn’t end. Knowing that death is a “rebirth” as suggested here really takes the weight off of our shoulders. Try to grasp the idea that life is eternal; that we’ll continue to live and evolve forever. The spirit is infinite, and the place we’ll go when the time comes is heavenlier than we yet know. Monsignor Robert Hugh Benson tells us about the unfortunate and irrational nature of our fear of death. Our fear and avoidance of death produces a heavy weight that can be hard to transcend, and as Benson says below, people from the other side feel satisfied when they can convey knowledge about life beyond death to us. “It is but natural that, with the opportunity presenting itself, we should visit the earth and, by bringing with us a little of the light of knowledge, we should be able to dispel the fears of death of the physical body that haunt so many people and, in place of those fears, give some knowledge and information of the superb lands of the spirit world wherein we now live and wherein you yourself will one day come to join us. Because of the extent to which they feared death before discovering the realms beyond, some people who’ve passed on want to let us know that there’s nothing to fear and that the other side brims with consciousness and activity. How open or receptive we are to this message depends on us, but they play their part by spreading the word. A departed soul speaking through Betty Bethards tells us that the experience of death is akin to peacefully going to sleep. Of course, we should keep in mind that death is a more permanent state than sleep. I suppose what’s being said here is that death is as peaceful as falling asleep, instead of violent and painful, and that our consciousness temporarily leaves our bodies every night in the same way it’ll permanently leave when we pass on. When the body dies, we’ll feel ourselves float up out of it and we’ll consciously perceive the spirit planes. We’re then told that we’ll willingly shed our bodies (but not our personalities) when we’re finished here, because from a higher perspective, the human body is seen as a hindrance. “Your personality, your memory, everything you consider to be you will leave with this energy [upon death] because you are energy. I don’t think the intention of the above quote is to suggest that we should despise our physical vessel or the dense reality around us, but the consensus among the departed seems to be that shedding the body is as simple as, like others have said, putting on a new pair of clothes. Whether we acknowledge it or not, we’re spiritual beings having a human experience. The etheric body, sheltered in the physical vessel, simply moves on when it’s ready or when the vessel can no longer be of service. It’s a simple but powerful shift, and if we choose to, we can undergo the apparently dreadful process of birth and shift right back into this reality to grow and be of service to others. A lot of people believe that we reincarnate continually until we reach a less dense state of consciousness, and the number of lives you experience is your choice. (1)- Fred Rafferty, ed., Charlotte E. Dresser, medium, Life Here and Hereafter. Author’s edition. Downloaded from http://www.harvestfields.ca/ebook/02/001/00.htm, 2 Feb. 2008. (2)- Monsignor Robert Hugh Benson through Anthony Borgia, medium, Here and Hereafter. San Francisco: H.G. White, 1968 (dictated in 1957). (3)- Betty Bethards, medium, There is No Death. Novato, CA: Inner Light Foundation, 1976; c1975. So far, we’ve explored some of the reasons not to fear death from the perspective of people who’ve experienced it. We’ve learned a little bit about the transition and the realms beyond, and now, I’d like to look at the blissfulness of death itself. The idea that death is a blissful process might sound strange, but apparently, it’s much different than our fear would have us believe. Winifred Combe Tenants tells us about the heavy weight that fearing death puts on us in comparison to the peaceful nature of the spirit planes. Understanding that the place we pass on to is peaceful and joyous will take an enormous fear-based weight off of our shoulders, but we’re the only ones who can make the choice not to fear death and to enjoy the life we experience here. Physical life becomes much better when we understand that it doesn’t end. We might not experience physicality the same way we do now when we pass on, but from what’s been said so far, the realms we’ll enter are much more enjoyable to exist in anyway. The realization that consciousness continues after the body stops living is incredibly liberating, I imagine, for people who’ve feared death all of their lives. Can you imagine discovering this and moving into the etheric realms at the same time? Sir Alvary Gascoigne tells us about his peaceful passing, during which his departed mother was present. “I had a good night of refreshing sleep on my last night on earth and, when both of you came to see me, I was in a state bordering upon pleasant relaxation. Every part of me seemed to be switching off gently, and, when the last switch was pressed, I suddenly found I was floating above my body. I made instinctively for the window. 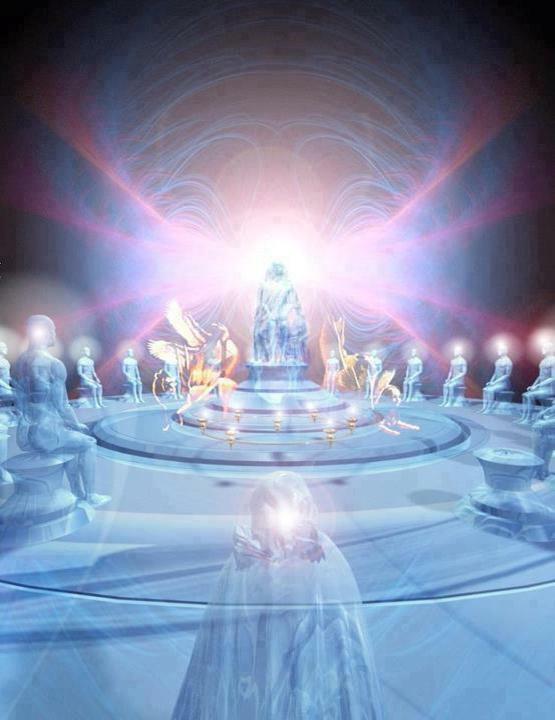 I’ve read material elsewhere that suggests that when we die, departed family members and even spiritual guides will be there to welcome us into the etheric realms. If you passed on and knew a friend or family member was about to as well, wouldn’t you want to be as close with them as possible at the time of the transition? Especially for those who really fear death, I imagine it’s comforting to have their departed friends and family around them when they cross over. Being able to see their faces and hear their voices again probably feels better than the peaceful process of death itself. Personally, I look forward to seeing a few people when I cross over (or evolve), and I’m sure the list will grow as time passes and more relatives make the transition. The night my grandfather, who had a stroke and was wheelchair-bound and practically speechless for the last two decades of his life, crossed over, I had a dream that he got up out of his wheelchair and started walking around. The next morning, I woke up to the call that he’d passed. Everyone was expecting it by that point, and my family was happy to see him depart into heaven. Because of their religious views, a lot of people in my family are assured that death isn’t the end and that heaven awaits us after this life. I have a feeling that ol’ Poppy will be among the people to greet me when my work here is done. Gascoigne tells us about the joy of dying and the physical resistance that’s bred from fearing death. “Nothing in life comes up to the immense joy of dying. Sick people who are kept on machines to keep their bodies going could experience a much less painful transition if they or their family understood that death isn’t the end and that unnecessarily prolonging physical life only causes more pain. Releasing oneself to the natural dying process will see one experience it with much more ease, whereas remaining trapped in a body that’s ready to rest can be very difficult and confining. Gascoigne then tells us about the process of being drawn up out of the body when it dies. “You will find that more and more people just die in their tracks, which is the ideal way of leaving. We’re also told that we’re meant to relax and “go with the flow” of transitioning instead of fearing or fighting it. “You must realize that, when you have joined the ‘Club,’ the passing cannot be very long delayed and be ready to receive the power that draws you quite painlessly out of your body. It’s the most beautiful and glorious thing. I see so many are prolonging their life quite unnecessarily. If you give up the reins, as it were, to the great Creator, expressing your readiness, then life is withdrawn gently and lovingly and the dossier of your earthly effort is closed. When we’re ready to be called home, it’ll be easier to simply surrender to the process instead of wasting our time and energy fighting it. Of course, to the ego, surrender would seem like the worst thing to do. To somebody who wants to stay alive for fear of dying, surrendering to the process could be much easier said than done. Why surrender to a process that you worry will take your existence away? Because of this, I think it’s essential for everyone to understand death’s real nature, as well as the realms we transition into when the body stops living. (1)- Geraldine Cummins, Swan on a Black Sea. London: Routledge and Kegan Paul, 1965. (2)- Cynthia Sandys and Rosamund Lehmann, The Awakening Letters. Jersey: Neville Spearman, 1978. Sigwart, an artist who died in World War one, tells us about the beautiful and peaceful nature of the death he experienced. You’ll notice that a lot of people who’ve passed over mention the silliness of trying to prolong physical life when the etheric realms are so liberating. Sigwart mentions that he experienced a “blustering storm” in his final moments of earthly life, but that afterwards, he was bathed in pure, calming bliss and freed from the limiting shackles of physicality. In our final quote, a woman named Barbara tells us about the infinite peace she felt when she crossed over. Knowing that you did your best on Earth and that you’re finally able to rest after the “cards are all played” has to be great for the recently transitioned. Can you imagine the infinite peace and bliss that comes with knowing you’ve done your part and simply resting and enjoying yourself? After this life, I plan to enjoy what comes next knowing that I did my best to help inform and awaken people. There’s so much for us to learn regarding spirituality and crossing over, and if I could help quell the fear of dying in some of you, then I’ve done my job for today. I offer this report in hopes that it reaches even one person who’s become spiritually aware but still fears death. I used to think I’d stopped fearing death until I had a dream or two about it that reaffirmed my nervousness about actually departing the physical body, but from what we’ve read here, death seems to be a painless and peaceful process that reintroduces us to spiritual reality. Too many people are lost in a materialistic paradigm, and we’ve forgotten about the reality of spirit. We’ve forgotten, and some of us never knew in the first place, that we’ve come from and will return to heavenly realms wherein we’re infinite in what we can do and be. We’ve forgotten about the realms beyond Earth that can’t be examined or “proven” as easily with our mainstream science. A lot of scientists and researchers work diligently to merge our understanding of science and spirit, however, and in doing so, they’re helping the world understand the reality of life after death. If everyone can grasp this reality, the fear of death can be replaced with a drive to do as much as we possibly can while we’re here. We’ll only exist on this planet for a short amount of time before we depart for greener pastures, whether our departure is caused by death or evolution, and there’s only so much time for us to do great things. How do you feel about the idea of doing as much as possible for the betterment of humanity while you’re here? Can you grasp the idea that we don’t actually close our eyes for good, but that our physical eyes close and our etheric senses open up like never before? Personally, I’m excited to offer as much of myself as possible to the planetary awakening and the building of a new paradigm rooted in peace and harmony, and when this mission is over, I’ll delightfully seek another way to be of service. The intent of this report is to affirm the reality of life after death and the existence of spiritual realms beyond our conscious understanding, and you’re encouraged not to fear or avoid death, but to see it as a peaceful and inevitable aspect of life. Like some of our discarnate sources have said, “Without death, there cannot be life”. Wes Annac – Sharing the idea that consciousness isn’t defined by the vessel in which we experience it. (1)- Joseph Wetzl, trans., The Bridge Over the River. Communications from the Life After Death of a Young Artist Who Died in World War one. Spring Valley: Anthroposophic Press, 1974. Throughout the spiritual circles, the idea of a utopian society rooted in respect and love for every person is constantly advocated. This idea is spreading to more people every day, and as it does, we eventually start asking ourselves what we can do to build a new paradigm and live in a much better and fairer society. People are ready to create real and lasting change that can be built on in future generations, and while we carry the responsibility to do this, we’re being given help from beyond the veil that can make our effort much easier. We’re being advised and counseled from the higher realms on a number of matters that have to do with our physical/spiritual evolution and our effort to build a new paradigm, and in my opinion, an important aspect of healing the planet is learning about and expressing the divine qualities. I’ve been talking a lot about the importance of walking our talk, and I’m starting to see that if we want to change the world, we have to ask ourselves if we’re acting in alignment with the world we want to live in. There’s simply no way around it. It’s essential for us to learn to start expressing the qualities of the heavenly reality we want to experience, because if we don’t, who will? Since we’ve awakened to the importance of a society rooted in harmony, we carry the sacred responsibility of aligning with our vision of that society. By expressing the divine qualities, we anchor and spread the energy of a new paradigm and act on a great opportunity to create change. We’ve been given plenty of spiritual guidance about sowing the seeds of change, and even though I respect that some of you out there don’t resonate with modern channeled material, I think it can be helpful. If you can get past the stereotypical perception of channels, you can see their helpfulness in regards to spiritual evolution and creating change. Even if the material we’ll examine didn’t come from the sources it’s claimed to, at the very least, it comes from a higher place. I make it a point to be as discerning as possible when I read anything, be it channeled or written material. There are a lot of perspectives floating around these days, and in the case of channeling, the stance or opinion of an inexperienced scribe can unintentionally paint a message. Nevertheless, a wealth of genuine and helpful channeled material is available – you just have to separate the wheat from the chaff. It’s up to you to use your discernment and take what resonates, and the material we’re going to examine is focused on expressing the qualities of a new paradigm and creating change. So just what are the “divine qualities”? Put simply, they’re the individually defined qualities that we can discern as being rooted in a higher, selfless way of living. Steve Beckow explains the divine qualities well, and reminds us that our definition of them will continue to expand. “The divine qualities include such godly ways of being as love, compassion, courage, integrity, impartiality, unity, harmony, and so on. They’re the qualities that we think God has. I’m not sure we can know. We’re always faced with talking in estimates. It’s believed that by living and expressing the divine qualities, we’ll create a wealth of change on the world stage. The divine qualities have to be expressed worldwide, in my opinion, because a few thousand people with love in their hearts won’t be able to create and be all of the change that’s needed.